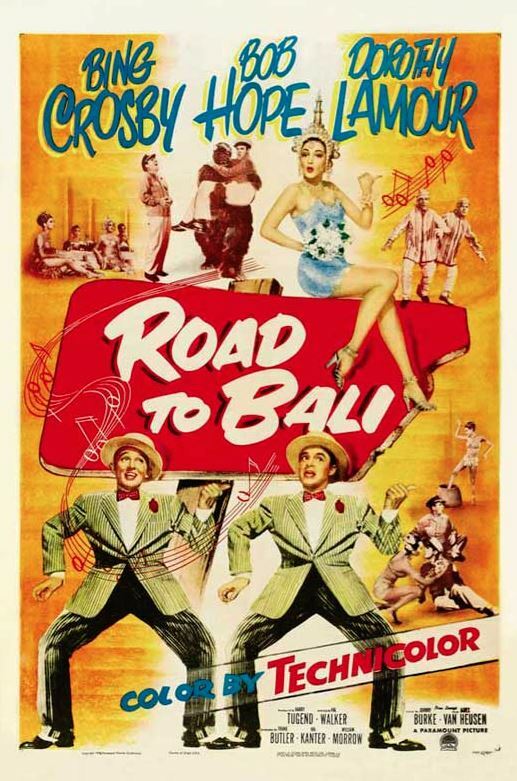 Bing Crosby and Bob Hope made a whole series of “Road” movies (seven, to be exact) and Road to Bali (#6) was the only one of the bunch in Technicolor. 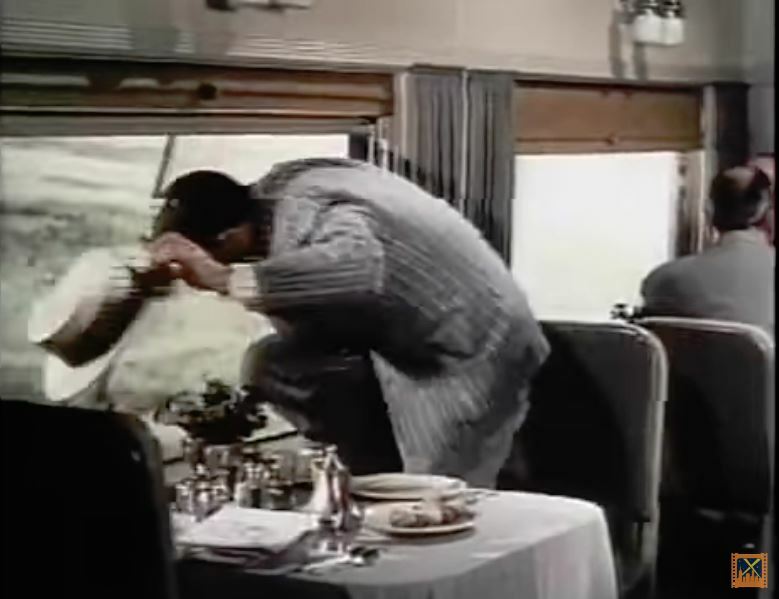 Although the train quotient is pretty low, the movie itself is fairly entertaining with cameos by some of Hollywood’s biggest stars. The Santa Fe in Australia? 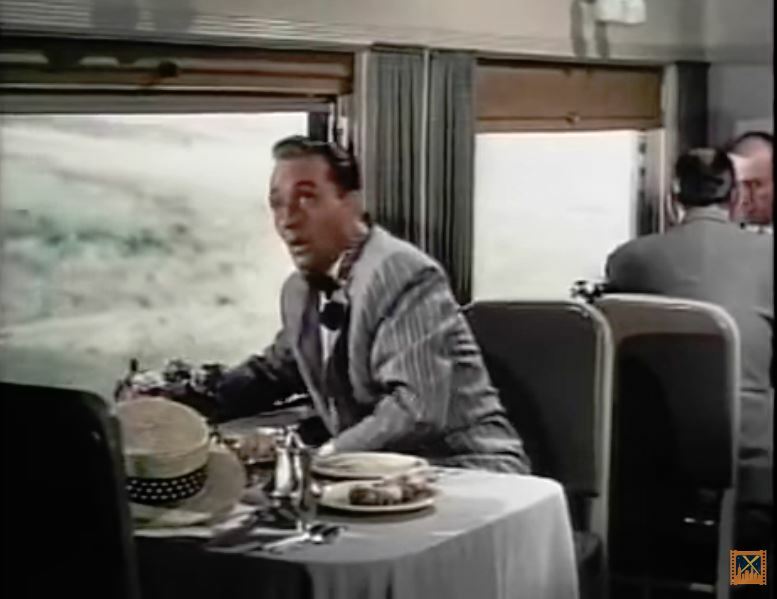 Yep, this establishing shot shows the boys on a train journey out of Melbourne in the general direction of Bali. 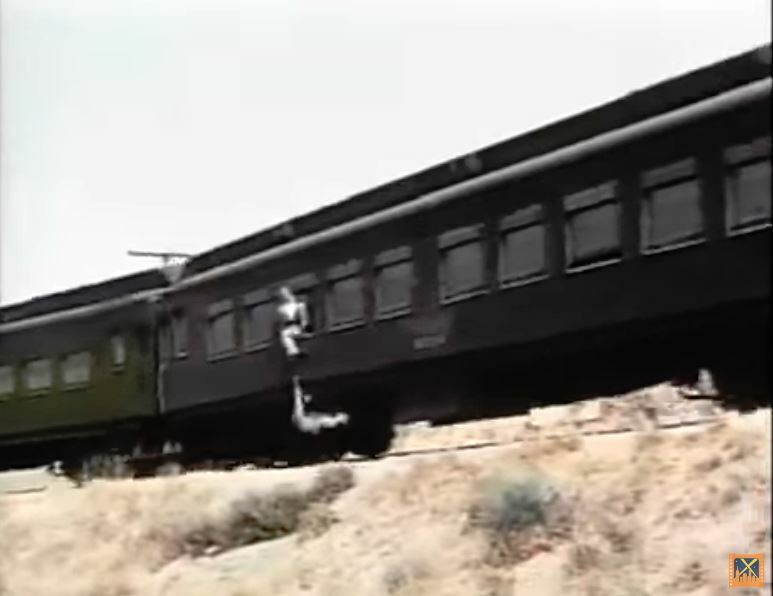 Atchison, Topeka and Santa Fe Railway #144 is a two-unit set of EMD 1944-built FT locomotives….WITH dynamic brakes! 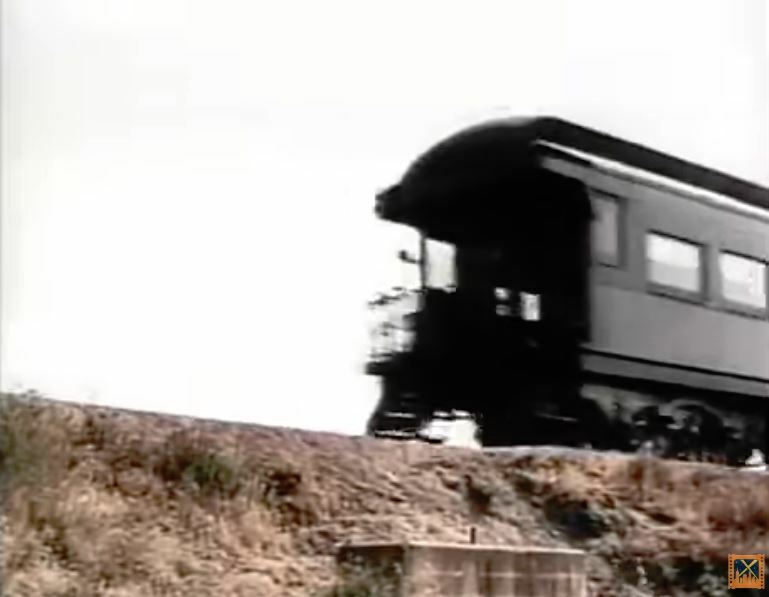 (those rectangular boxes on the roof) hauling a string of heavyweight passenger cars. 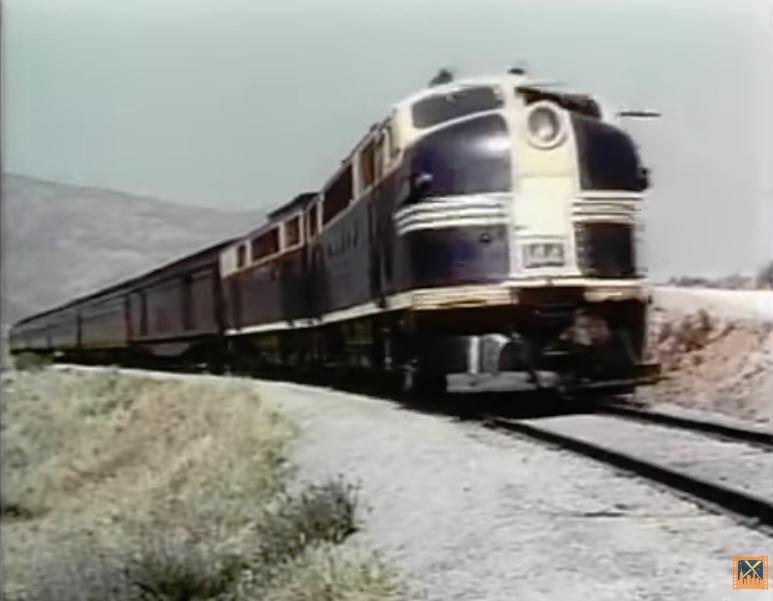 Notice the famous ATSF logo has been carefully “touched up” and removed from the nose of the unit. 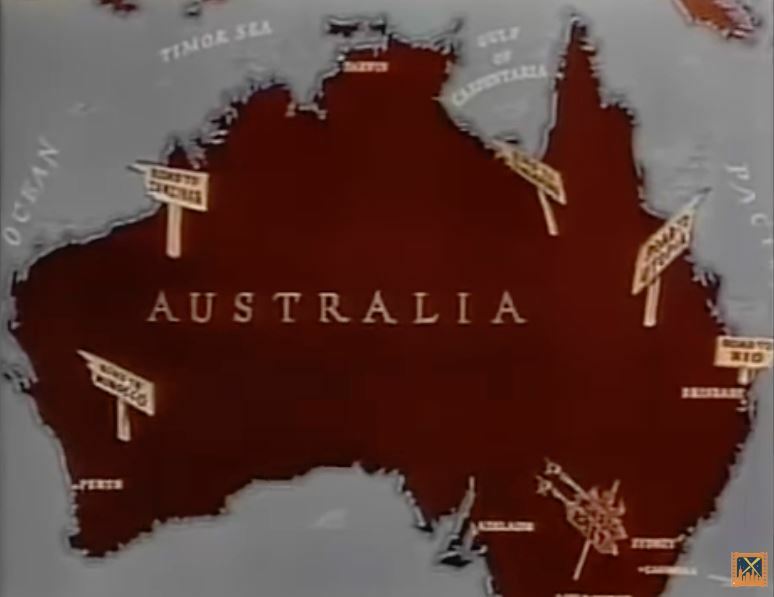 Our story begins with a map of Australia showing signs pointing in the general direction of the various Road movies; George (Crosby) and Harold (Hope) are two American song and dance men (I love the spats!) touring the Outback. 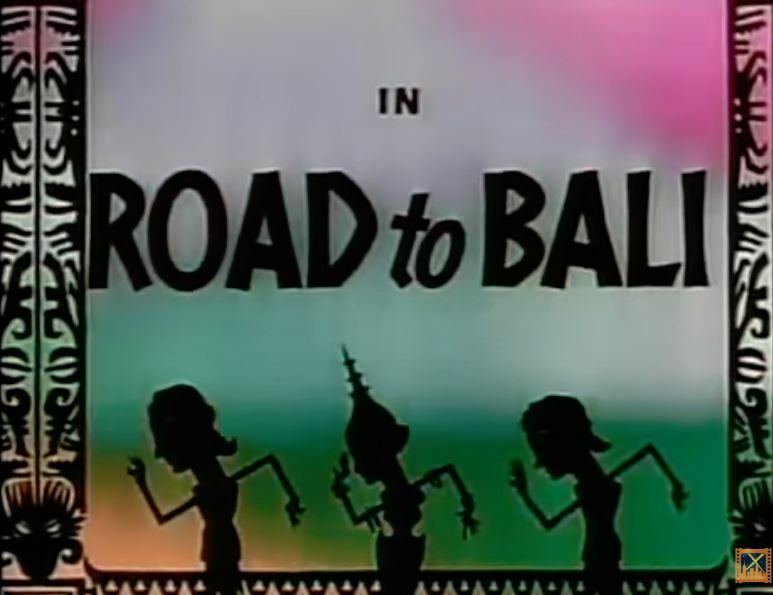 The movies listed on the map are: Road to Rio (1947), Road to Utopia (1945), Road to Morocco (1942), Road to Zanzibar (1941), Road to Singapore (1940), and of course, Road to Bali (1952). 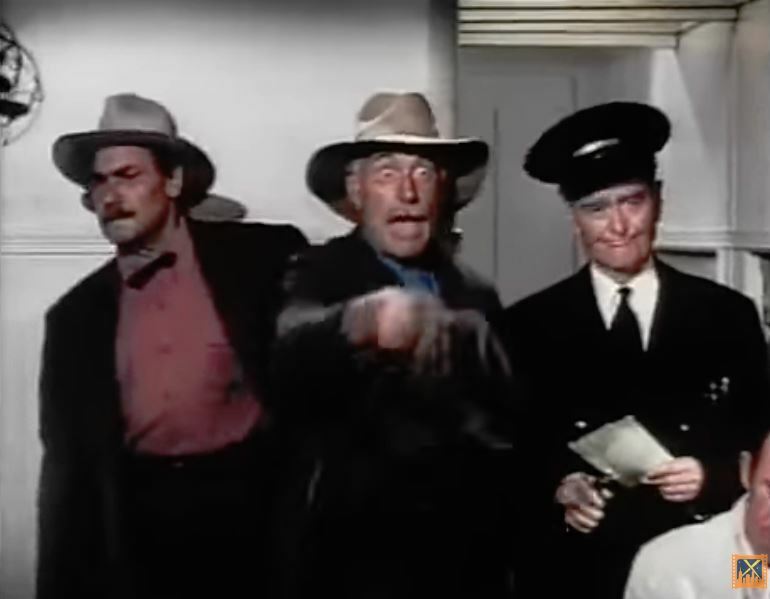 The boys left Melbourne in a BIG hurry (both were betrothed to local girls whose fathers demanded satisfaction) and only had enough coin to purchase ONE train ticket. 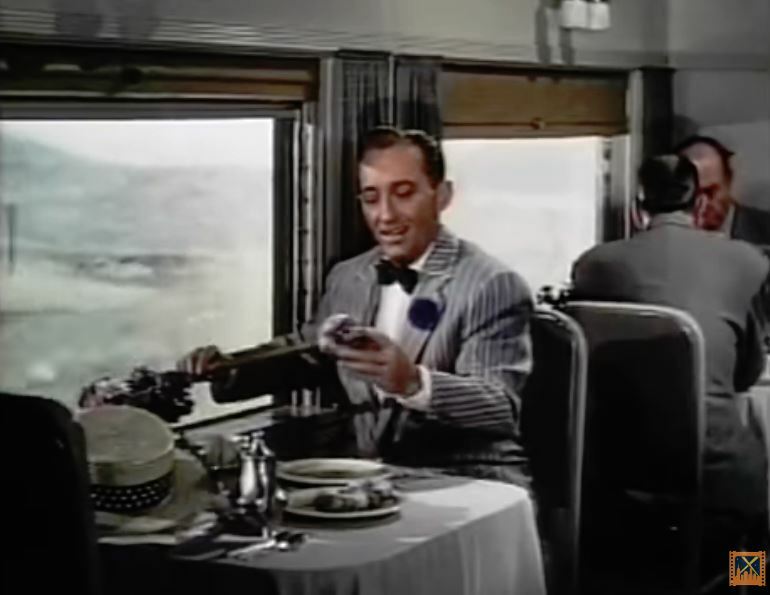 So here we see George in the diner having a meal and wrapping up a little snack for Harold. 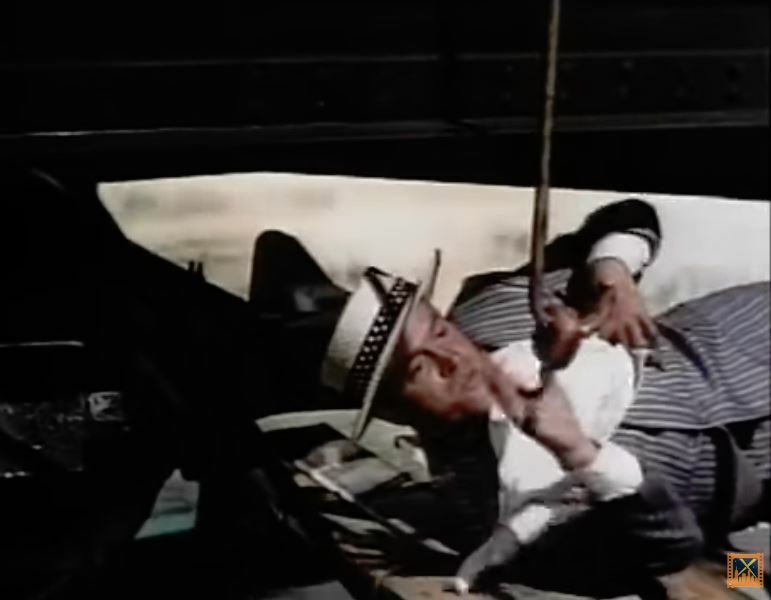 Using his stage cane, he passes the food down to Harold who is “riding the rods” underneath the car. As Harold tears into the grub, George dunks a donut into his coffee and sends it “downstairs” to Harold who greedily snarfs it down. 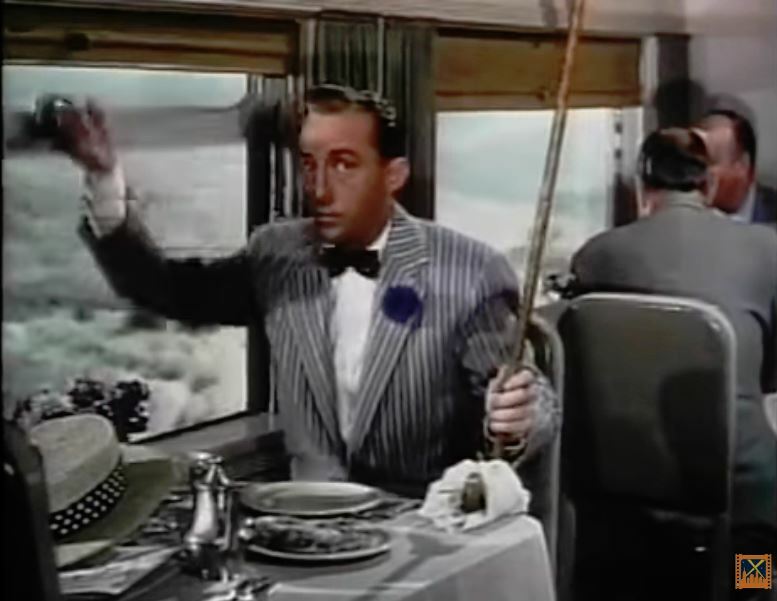 The conductor comes up the aisle with the two fathers-of-the-jilted who immediately spot George at the table. 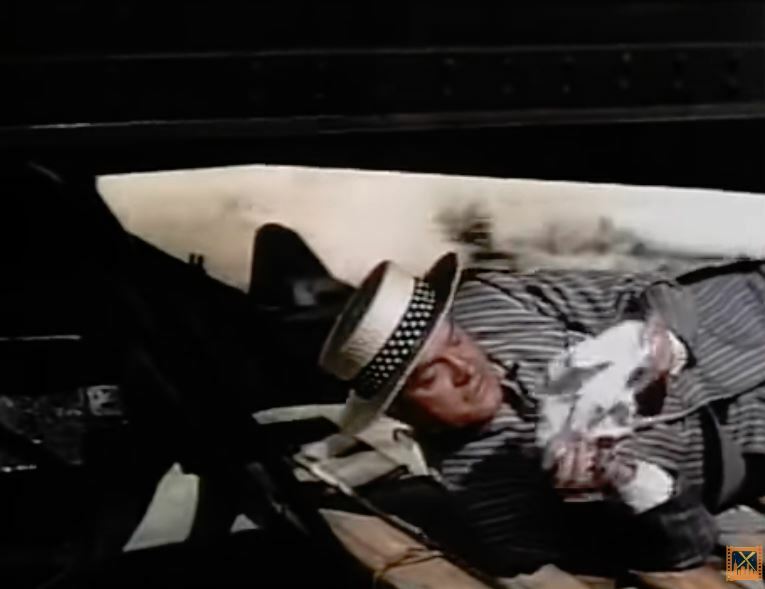 With nowhere to run, George grabs his straw boater and jumps through the window. 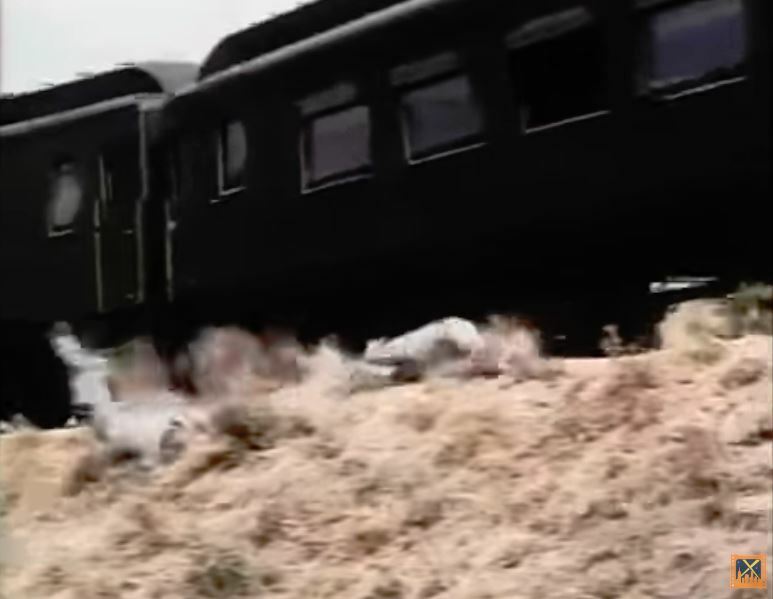 Spectacular sequence of two stunt doubles bailing off the fast-moving train. 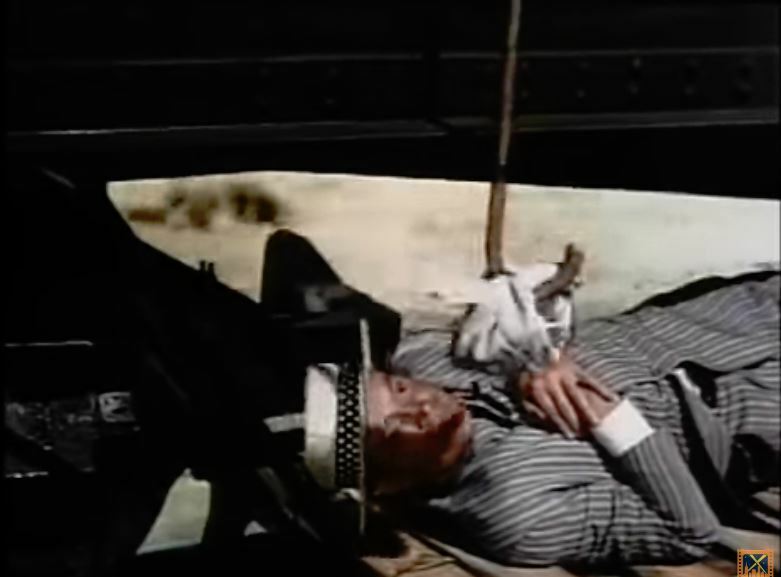 Unfortunately, this concludes the railroad portion of the movie. Just for background and context mind you, are a few scenes from the rest of the picture. 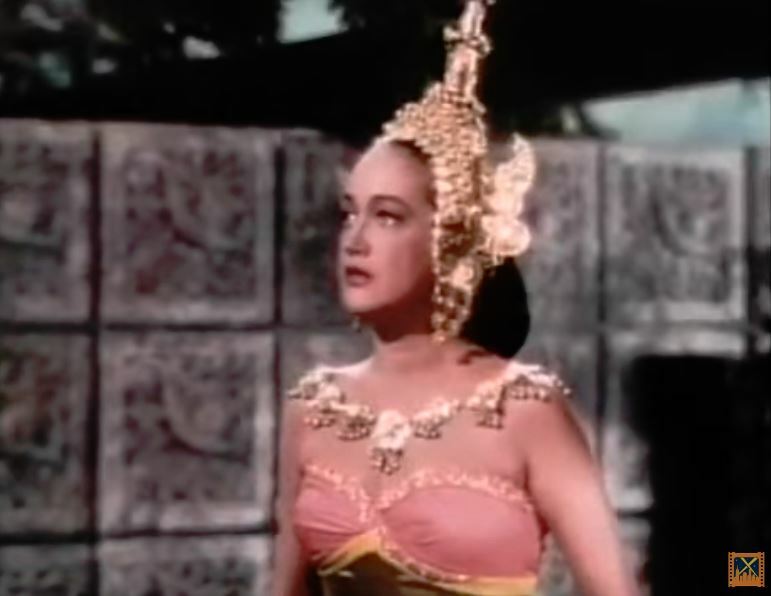 Hope and Crosby’s frequent co-star on the Road pictures was sarong-wearing Dorothy Lamour who was made for the role of jungle princess (hubba-hubba!). 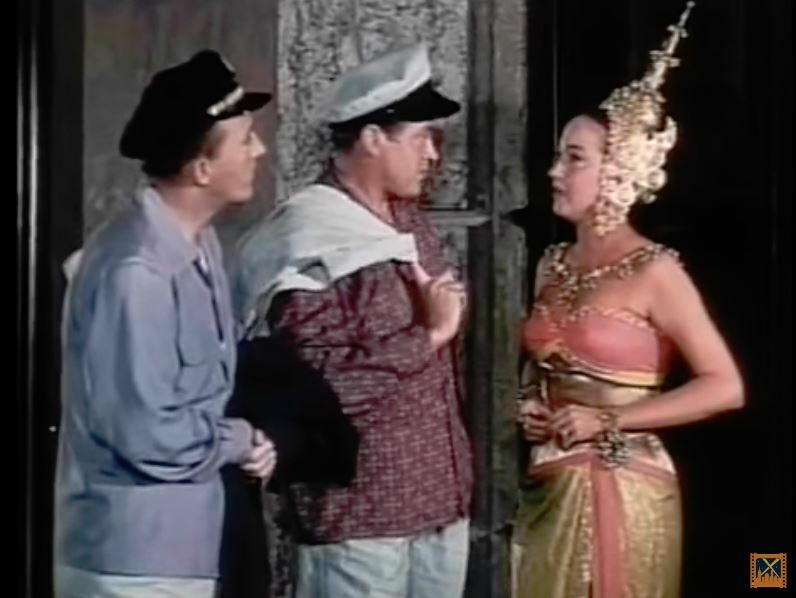 Here she is singing and dancing and exchanging banter with the boys as Princess LaLa. 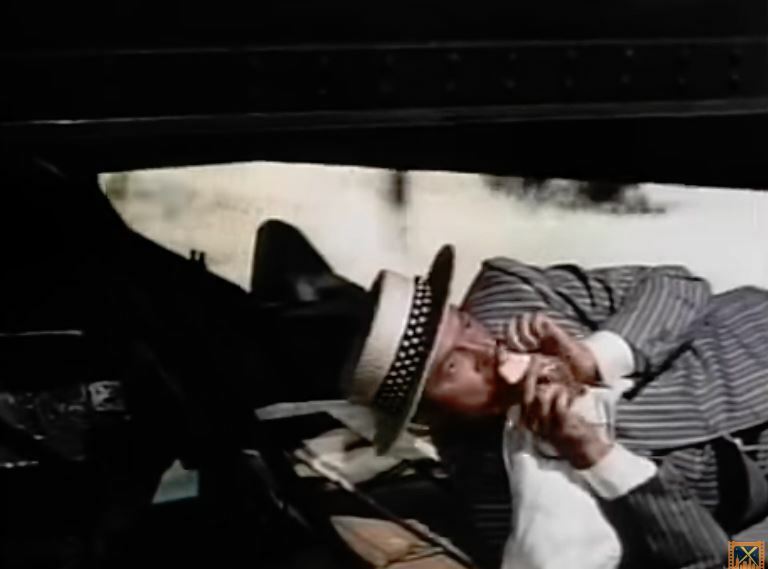 It’s Humphrey Bogart! 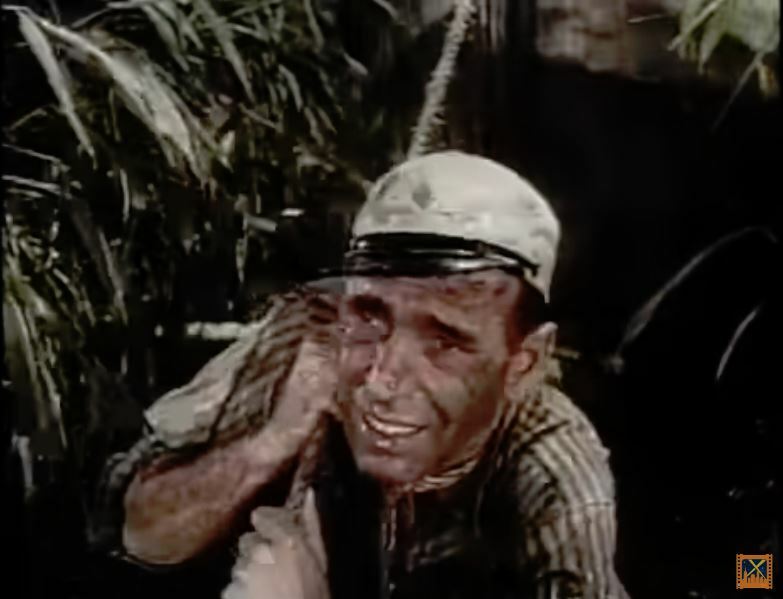 Bogie’s cameo includes him towing The African Queen through a swamp. 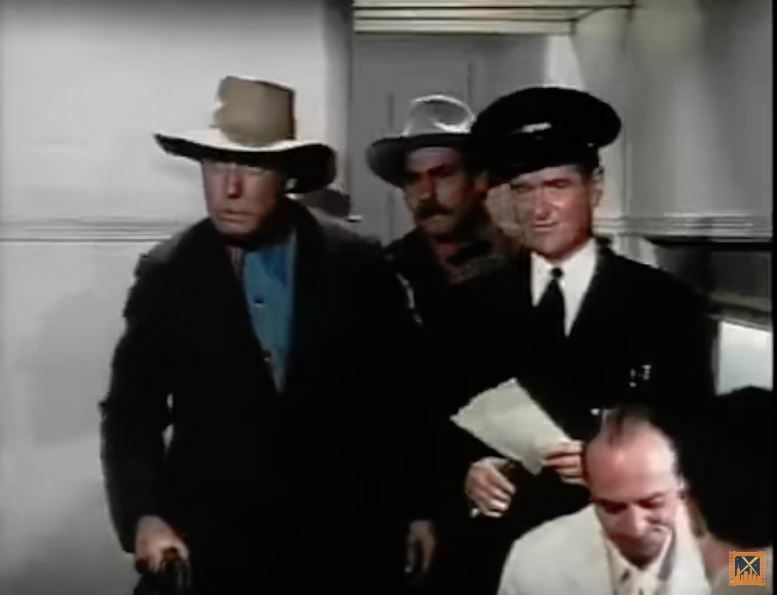 Upon seeing him, Hope comments, “Boy is he lost…”; It’s General Burkhalter! 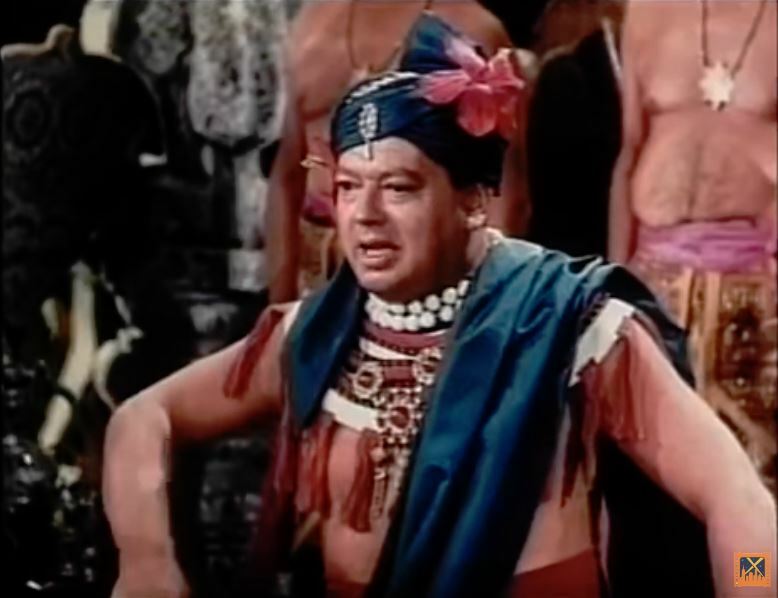 Leon Askin plays King Ramayana in the film. 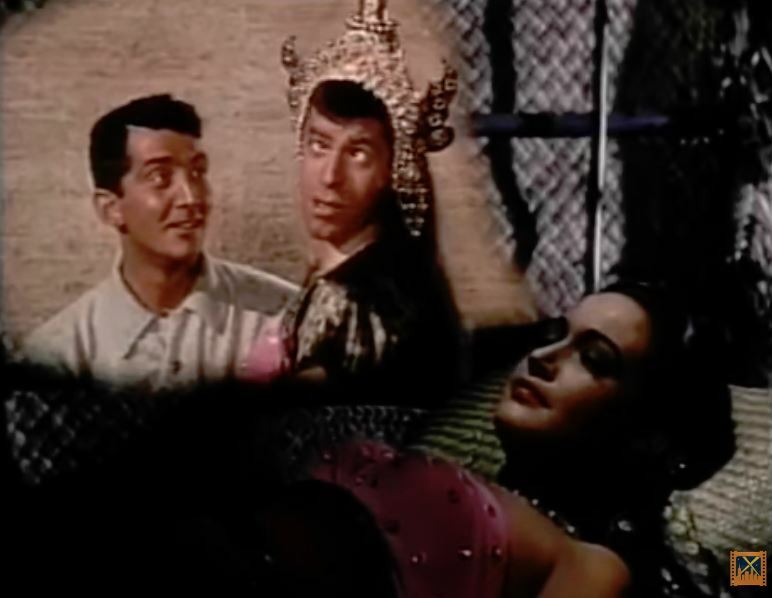 Dean Martin and Jerry Lewis appear in Princess LaLa’s dream sequence. 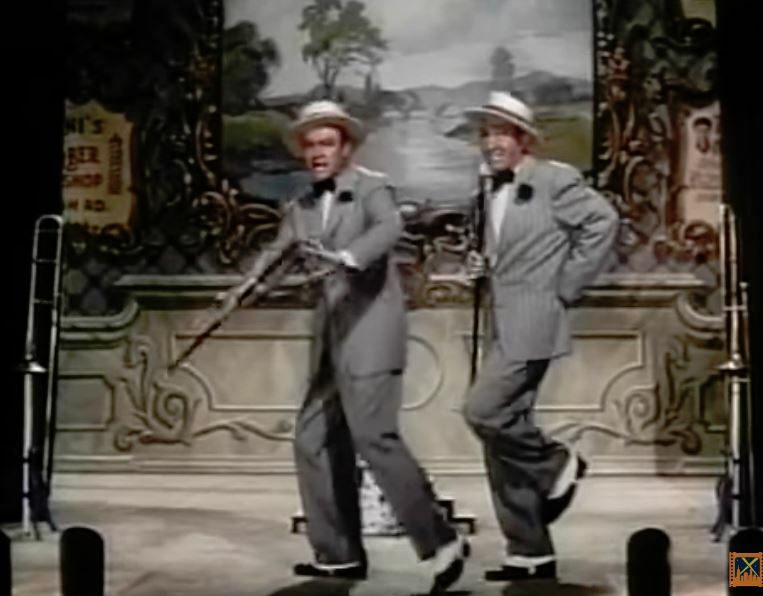 The pair were a famous comedy duo at the time. 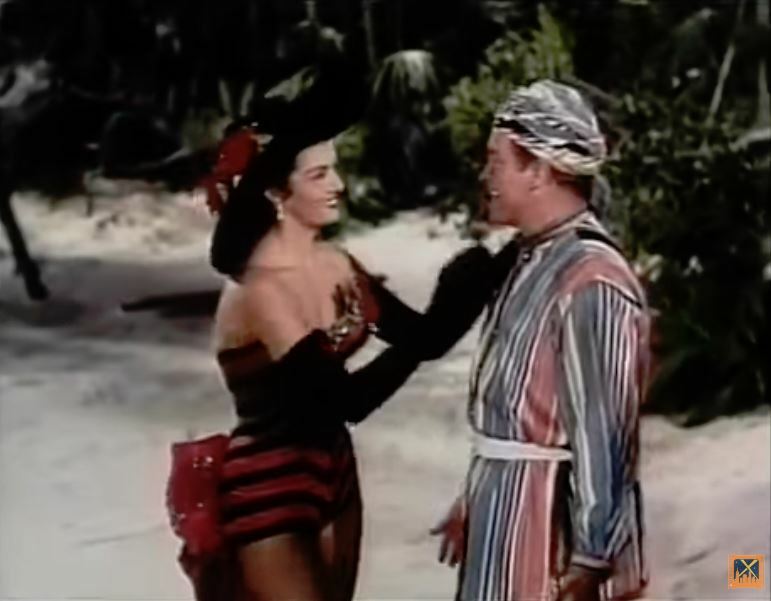 Hope conjures up the lovely Jane Russell (boy, what a pair!) 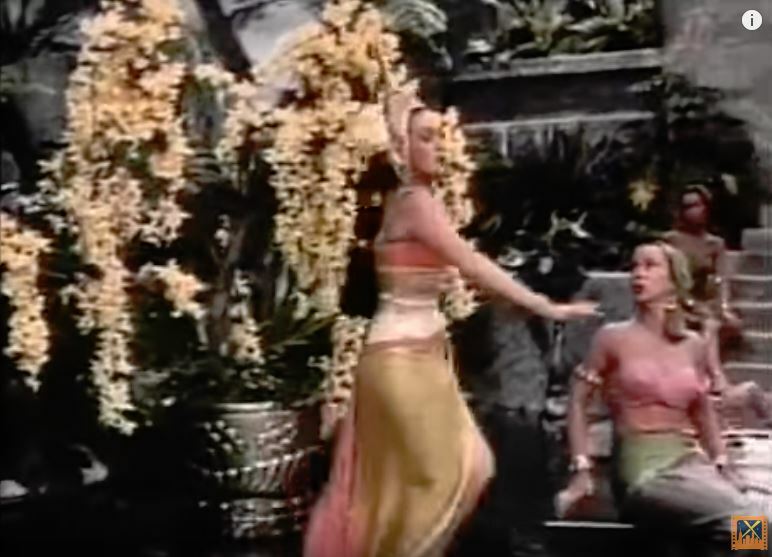 doing the snake charmer bit, as Crosby and Lamour look on. 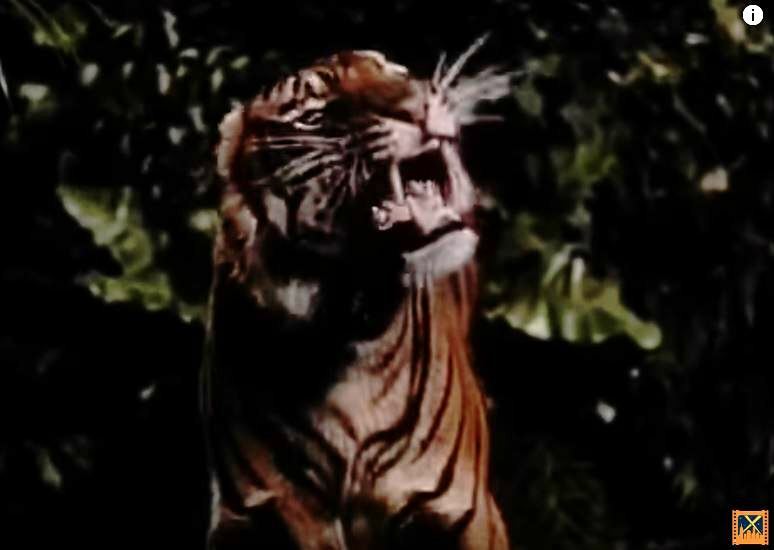 And for my wife who adores tigers, this stripey fellow kept showing up to menace Hope and Crosby. 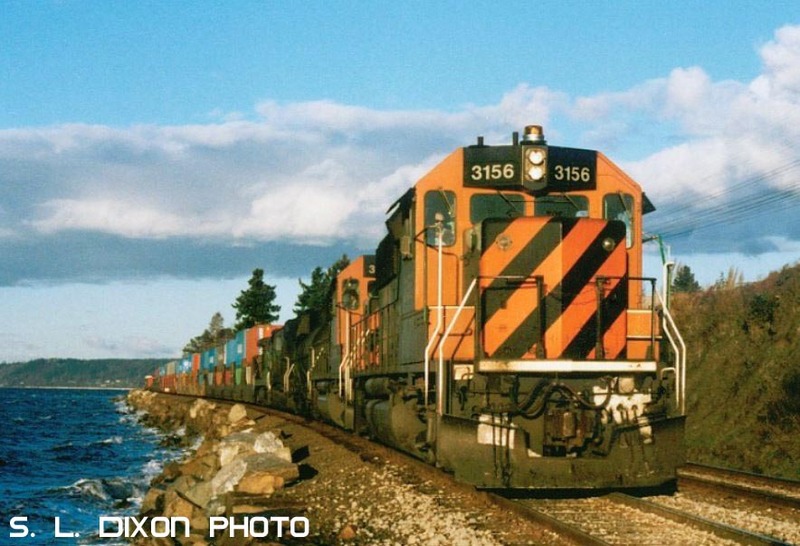 For MY kind of tiger stripes, here’s a couple of Burlington Northern GP50s leading a double stack train at Edmonds, WA. 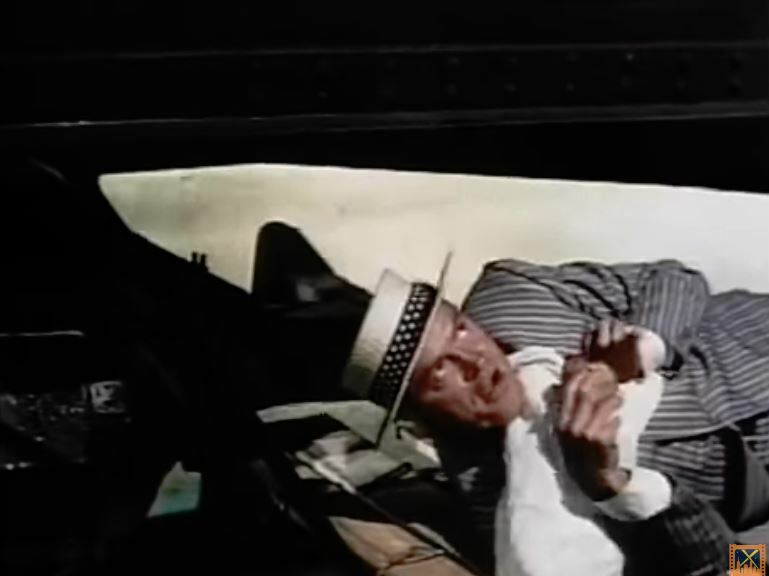 OK, I admit the movie is a little thin on train action, but if you had to watch ANY of the Road movies, this is the one to see. Lots of corny gags and it’s fun to try and spot all the famous people (I only showed a few) who took part. A good prop up your feet movie for a rainy night! 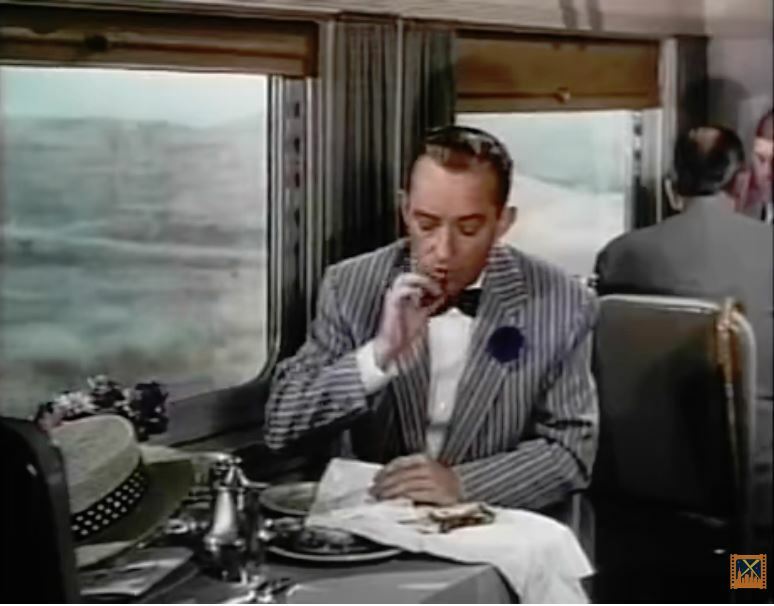 This entry was posted in Uncategorized and tagged Atchison Topeka and Santa Fe Railroad, Australia, Bing Crosby, Bob Hope, Burlington Northern, Dean Martin, Dorothy Lamour, EMD F unit, Humphrey Bogart, Jane Russell, Jerry Lewis, Leon Askin, Road to Bali, Santa Fe Railway, spats, Tiger. Bookmark the permalink.